In the early 17th century, the Scottish colony, Abercorn Estate which owned the manor of Dunnalong, was established in the Bready area. In 1622, the nearest church at Old Donagheady was in a sad state of repair being roofless. It was restored to become a Protestant place of worship. In the Rebellion of 1641, it was destroyed with the minister being fatally wounded. 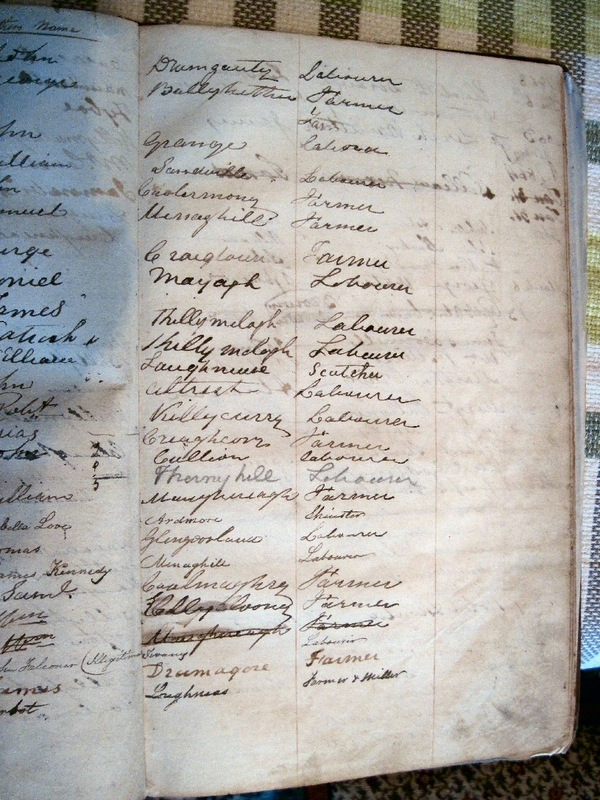 John Hamilton was the first Presbyterian minister in Donagheady. He arrived in the 1650s from Scotland. At the time of the Restoration in 1660 Hamilton refused to conform to the will and practices of the Church of Ireland; therefore he lived as a virtual outlaw. Persecution by the authorities forced Hamilton to secretly preach to followers in small groups. Traditional lore has it that the Presbyterians met in the Wood near Magheramason. 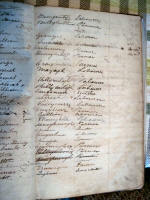 In 1667, the Church of Ireland Bishop of Derry excommunicated 19 Presbyterians from Donagheady. Slowly restrictions became more relaxed with the Presbyterians of Donagheady being allowed to build their first church in Altrest townland in 1672. Rev. Hamilton ministered at Donagheady until his death during the Siege in 1689 at Derry. Lore claims that his small gravestone, which can no longer by found was in the north-west corner of Grange graveyard. It is still debated whether he was actually buried in Grange as the gravestone may have only been to his memory. There was no minister at Donagheady Presbyterian until Rev. Thomas Wensley was ordained on 16 January 1699. After the service in the church, Church business was concluded after the service in the tavern, later known as Molly Kelly's, in Drumgauty close to the Grange graveyard. Following the death of Rev. Wensley in 1736, a dispute over the choice of their next minister ended with the congregation splitting into two separate divisions. At its lowest point, there was a riot in the church during a Sunday service. By 1741, the Synod of Ulster agreed to splitting the congregation in two parts. The congregation in the original church became known as First Donagheady with the new one named Second Donagheady. The situation was so ridiculous that the Second Donagheady Church was built only 300 metres from the old one. In the latter 1800s, both congregations built new churches. With changes in economic conditions membership in both congregations dwindled forcing the two Donagheady congregations to unite on 1 January 1933. With the union, Second Donagheady was chosen at the succeeding church. A plaque in the church commemorates the union and honours the two retiring ministers – Rev. John Rutherford and Rev. James Connell. 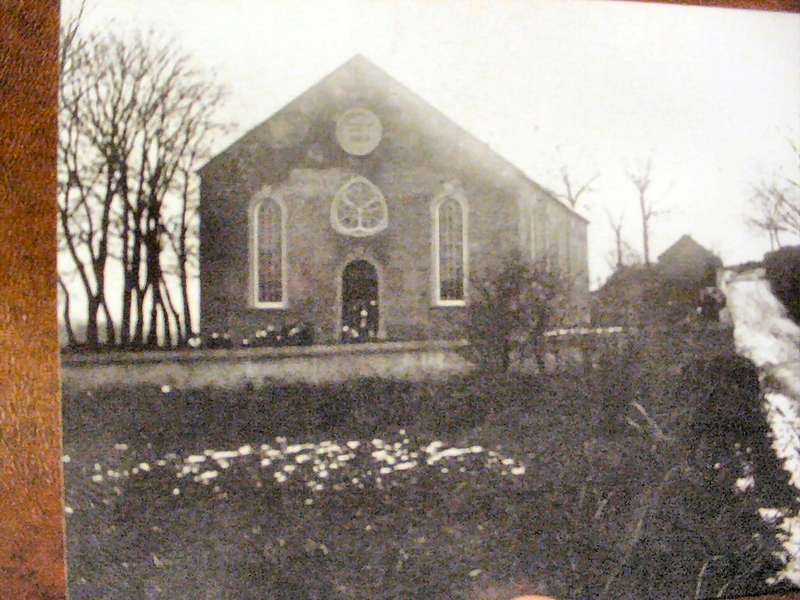 The old First Donagheady church building was allowed to fall into disrepair and was later demolished. Today, there are two houses on the First Donagheady property with a portion of an original wall of the church still there.